We provide Digital LCD Water Level Indicator, which are used to check the increasing and decreasing levels of water through the LCD display. Availed by the clients in continues or point values, these Digital LCD Water Level Indicator can also be customized in different ways depending on the needs of the application. Owing to the high quality standards, these indicators are extensively used in various establishments such as residential places, small showrooms, hospitals, temples, corporate houses, govt. sector undertakings and departmental stores. 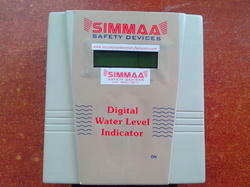 Looking for Digital Water Level Indicator ?